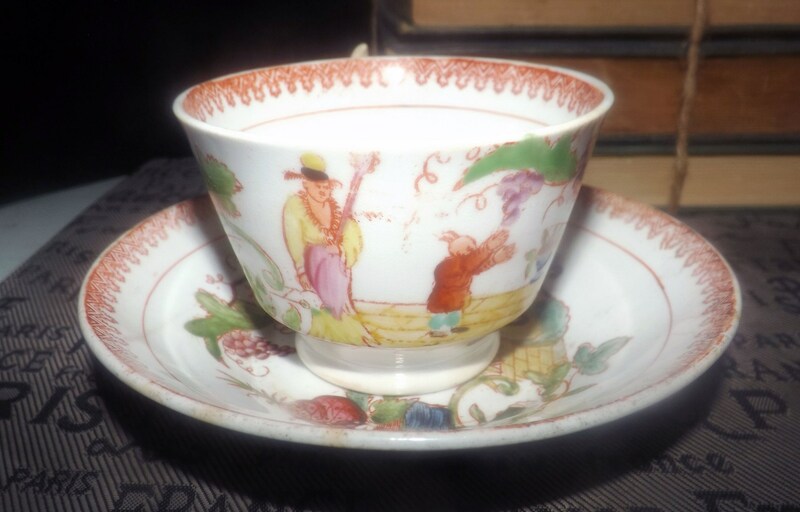 Antique (1800s) Qing Dynasty Chinese Famille Verte hand-painted tea set (flat cup with saucer). 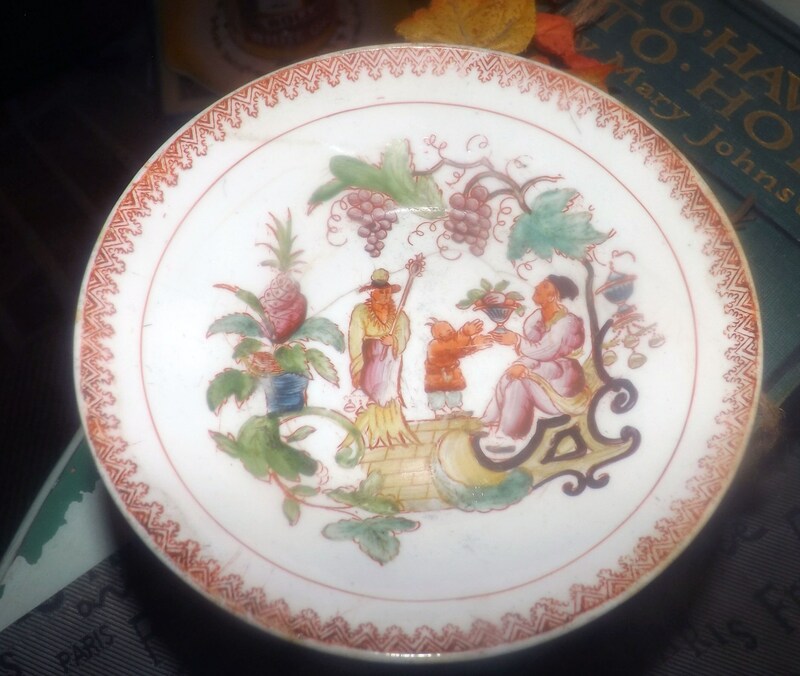 Oriental people, garden, grapes, red rim. 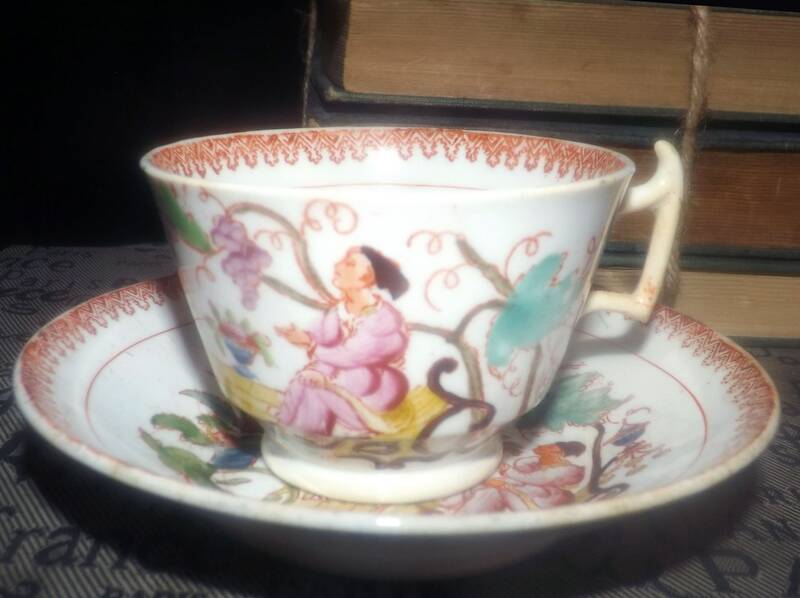 Antique (1800s) Chinese Qing Dynasty Famille Verte hand-painted tea set (flat cup with matching saucer). Oriental people in a garden with grapes, flowers and trees, red rim. In GOOD! 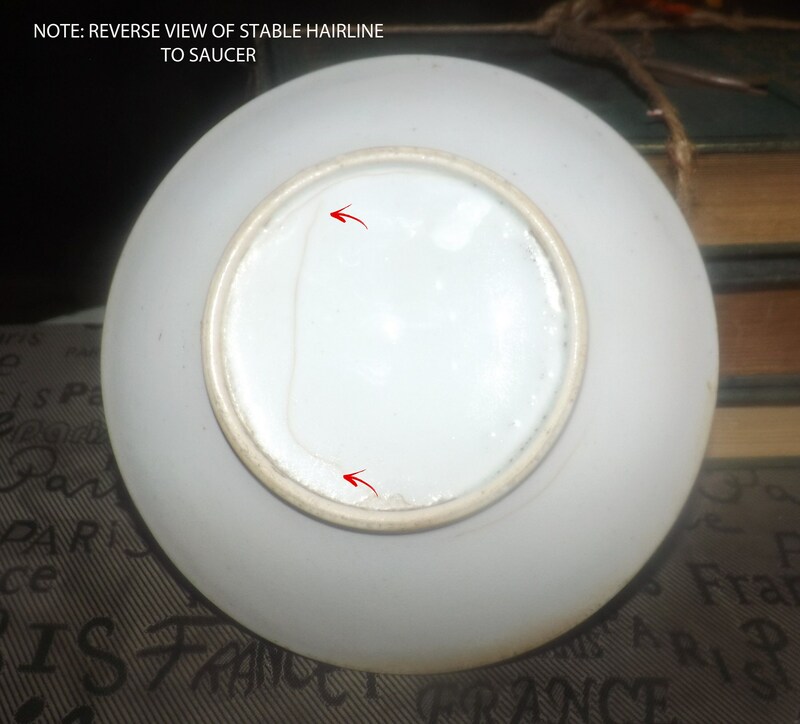 antique condition, the saucer has a stable hairline noticeable to both the front and reverse. 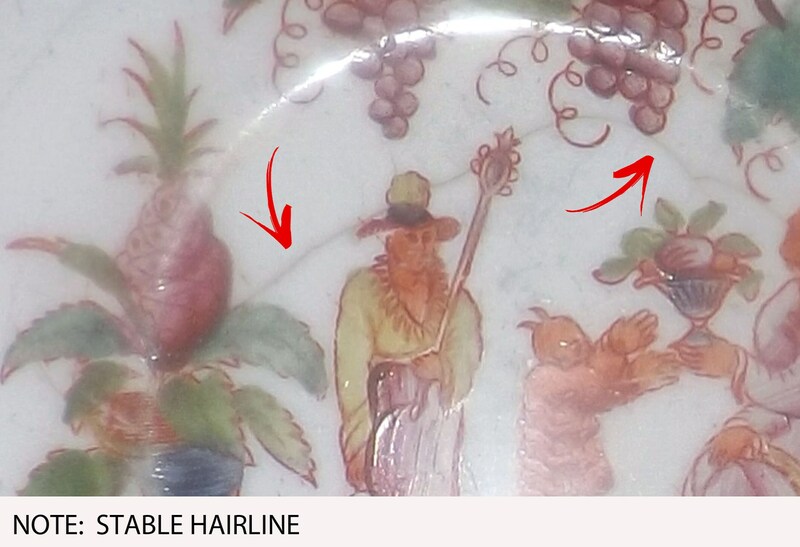 There are also several scratches, some LIGHT! 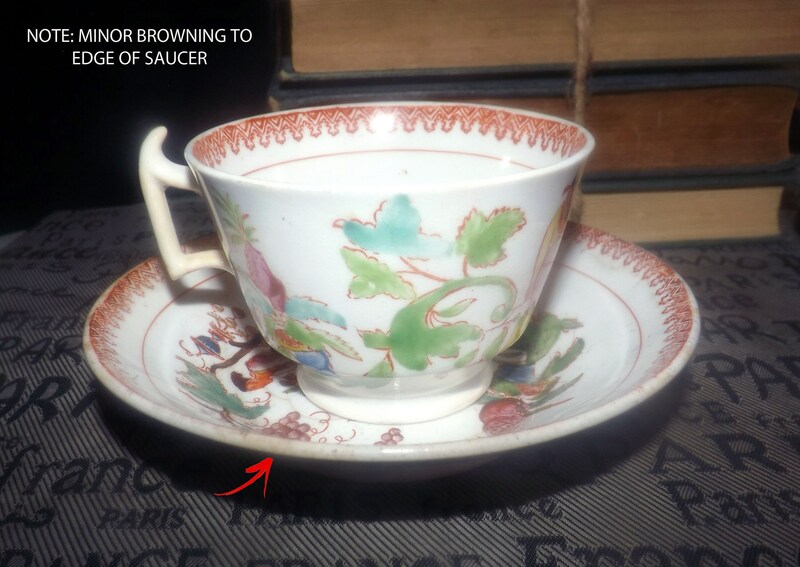 rub | wear to the hand-painted Chinoiserie imagery and spots of browning to the edge of saucer and handle of the cup (please review each of the posted photos for a complete visual of the item). The outer colors are bright and vivid with NO! 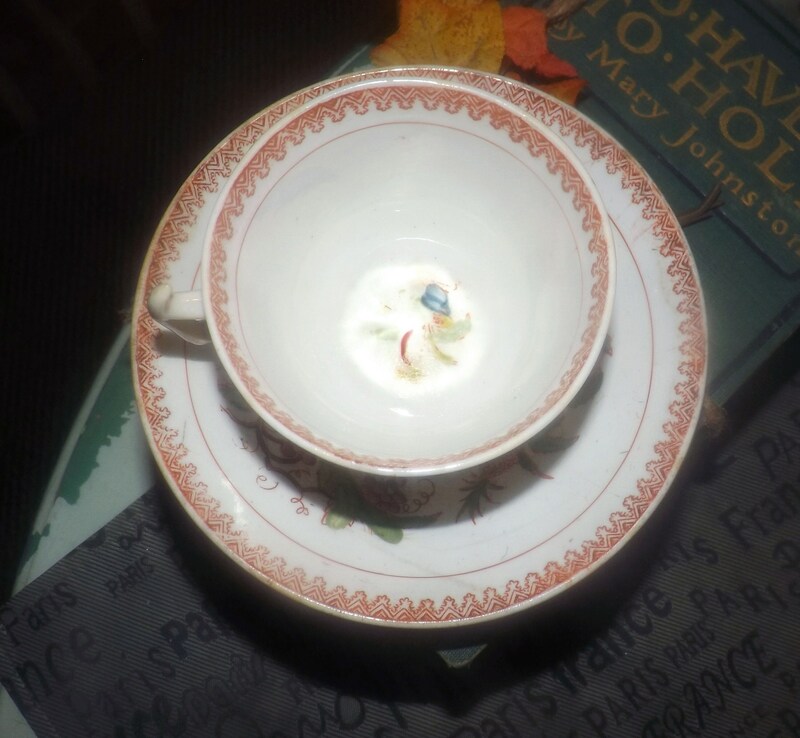 fading apparent, but there is some fading of the center florals to the inside cup bowl (again, please review each of the posted photos which offer a full visual of the pieces). 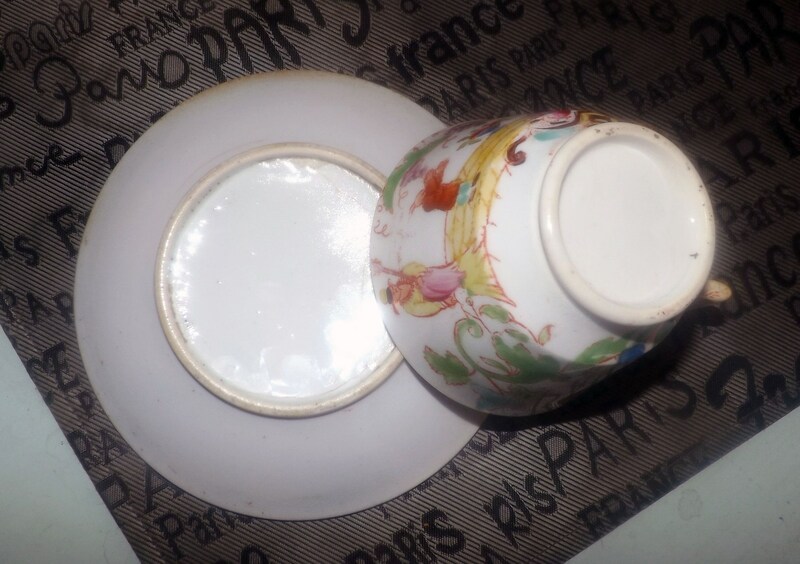 Beautiful almost translucent Kaolin china. A very RARE! and prized set! 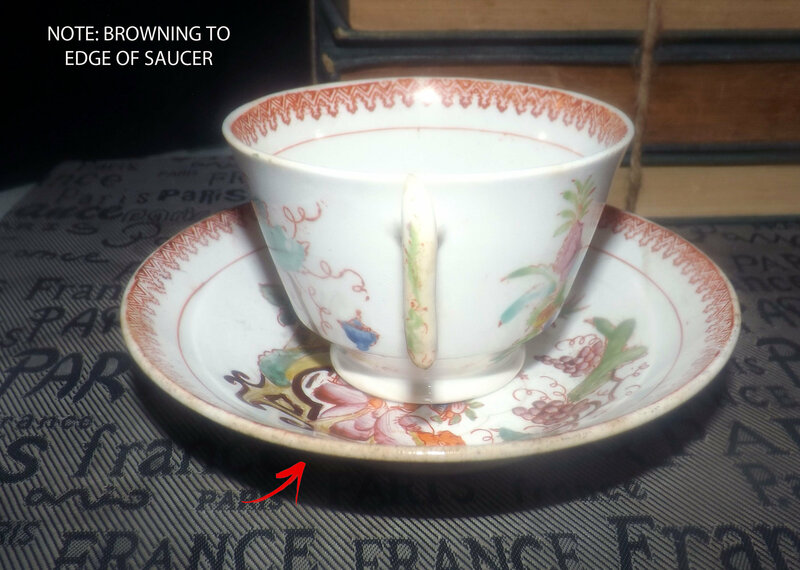 Approximate measurements: flat cup stands 2-1/2" with a 3-1/2" diameter bowl | matching saucer is 5-1/2" in diameter. Remember to use Coupon Code COMBINEDITEMDISCOUNT at check-out to save a further 10% on your order when purchasing any 2 or more listings from the shop at the same time.